The MirC Series relay controllers consist of a married pair of controllers that stay in constant 2-way communications with each other. MirC controllers used Ethernet communications to transmit and mirror contact closure inputs from one location to another location. 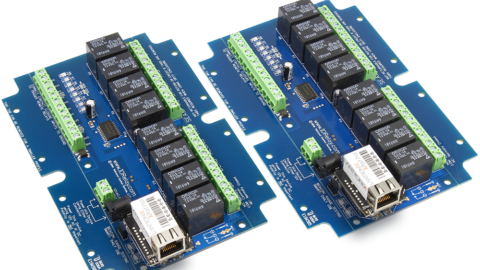 The MirC Series controllers represent a new form of products for our customers who are not electronic engineers but still have electronic applications they would like to complete. These controllers are the simplest controllers we have ever developed. They are as easy as wiring up the devices and pushing a button. No programming or configuring is required. Currently the MirC Series controllers are offered in two versions. The first version offers wireless capability in various distances including long-range, while the second version offers security encrypted wireless capability in short-range. The MirC Series are our third line of controllers to offer Autonomous Relay Control (logical control based on inputs without a computer). This new architecture allows remote control of relays without writing a single line of code. The MirC Series are manufactured using Surface Mount Technology. A BreakAway design has been implemented to fulfill the requirements of customers who need an enclosure AND to customers who need the smallest possible size. Break Away tabs allow the user to “break” off the outer edges of the circuit board for a smaller profile. The MirC Series relay controllers represent the future direction of the NCD product line. Who Is Qualified to Use the MirC Series? Anyone. The MirC Series Controllers are the most consumer-friendly devices we have ever manufactured. Whether an electronics engineer or a home hobbyist, anyone is qualified to use the MirC Series controller provided this manual is carefully studied. How do the MirC Series Controllers Work? MirC controllers are sold in pairs. Contact closure devices such as buttons and switches attached to inputs on the first controller will trigger relays on the second controller. One controller is the Sender and the other is the Receiver. The Sender has inputs while the Receiver has relays. When an input on the Sender is tripped by a contact closure the corresponding relay on the Receiver board is energized. Communication between the Sender and Receiver is Wireless. What Type of Range can Users Expect? These ranges are based on a clear line of site between MirC controllers/antennas, meaning obstacles such as trees, buildings and walls may limit these ranges slightly. Because MirC devices do not interfere with other MirC devices, it is possible to link multiple MirC devices in a chain configuration to cover long distances. 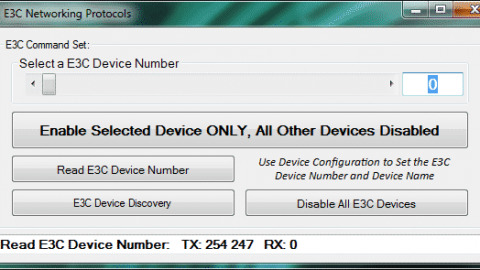 Multiple MirC Controllers can be used in one location. One Pair of MirC controllers will not interfere with another MirC pair as they are isolated through the way we designed them. MirC Devices are paired together before shipment and will only communicate to each other. For this reason they will not interfere with other MirC controllers. There is no better place to start than from the beginning. 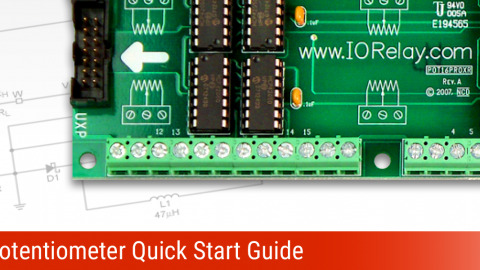 This manual will lead you through the understanding and use of your wireless MirC Series relay controllers in a sequence that will help get you started from the ground up. 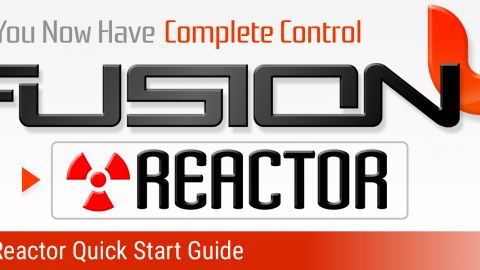 Following this manual in the sequence outlined is absolutely essential to proper understanding and use of MirC Series Controllers. There are many versions of the MirC Series relay controllers. It is not practical to photograph and outline every version in this manual. But there are many common elements that are shared among controllers. Most notably, the MirC CPU is identical whether you are using 1-Channel Long Range MirC controllers or 8-Channel Short Range MirC controllers. All MirC controllers share the exact same firmware with absolutely NO differences in firmware revisions. This greatly reduces manufacturing time and troubleshooting while allowing our customers a migration path to different communication range technologies as required. MirC controllers use different Communication Technologies giving them ranges of 300 feet (short range), 1 mile, and up to 15 miles (long range)! MirC controllers require a 12VAC or 12VDC power supply to power the logic and relays of the controller. The PWR12 is our stock power supply suitable for use with ALL MirC Series controllers. While it is possible to operate from an automotive 13.8V power supply, higher voltages are not recommended. Additional power filtering may be required for proper operation in automotive electrical systems. The absolute minimum recommended operating voltage is 11VAC or 11VDC. MirC controllers require approximately 100ma for standby and 60ma for each activated relay. Communication Modules may require up to an additional 240 ma, this is documented on the Electrical Specifications Page. Power polarity is not important on the MirC Series controllers. There is no positive or negative terminal. Simply apply power to the controller as it is convenient to make wired connections. The MirC controller will rectify your power supply and attempt to filter noise to safe levels for proper operation. Certain components of a MirC controller may run at temperatures exceeding 120° Degrees Fahrenheit. This is normal for a MirC controller and does not indicate a defect. The recommended operating temperature for all MirC controllers is –25 to 80° C. This temperature rating is based on temperature specifications of the components used to build a MirC controller and is not based on actual testing. We have speculated that MirC controllers may be able to withstand lower temperatures due to the fact that MirC controllers tend to have hot components in critical areas of the design. A. Status LEDs indicate which relays are currently active. B. Inputs on MirC Sender are capable of reading switches, buttons and other contact closure devices such as many motion detectors. These inputs serve as the command points for the remote MirC Receiver controller. C. MirC Controllers include a 2.1mm Barrel Connector AND a 2-Position Screw Terminal. Use either connector to provide 12V power to the MirC Controller. MirC controllers are compatible with 12V AC or DC power supplies with a actual voltage output of 11 to 13.8V. Polarity is corrected by the MirC controller, therefore a Positive and Negative terminal are NOT labeled on the board (it is not possible to connect power backwards to MirC controllers; the MirC controllers will automatically correct polarity). D. The BUSY/READY LEDs indicate CPU activity. Flashing Busy LED signifies VALID data has been received from the Remote MirC controller. If busy light never flashes, check remote device and range abilities of devices. F. MirC Controllers are equipped with 1, 2, 4, or 8 Relay Outputs. Relays are simply switches. They DO NOT provide a voltage output, but they will switch the voltage you apply to the relay connections. Please Click Here to see a list of relays and ratings that are commonly supported by the NCD product line (note: not all relays may be supported at this time, relay support will grow as the MirC product line grows). Physically, most MirC controllers are actually 2 sizes. When you receive your MirC, the unusual shape and size ensures the MirC can fit into a standard enclosure. Optionally, you can make the controller smaller by breaking away the outer tabs. Break-Away tabs are useful in applications where space may be a concern. 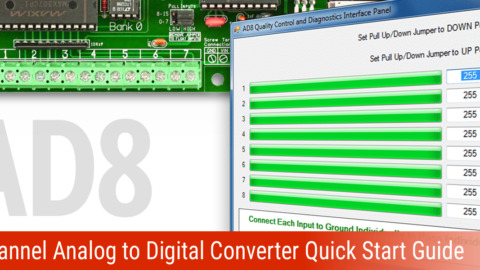 This allows your MirC to offer the same functionality in the smallest possible profile. 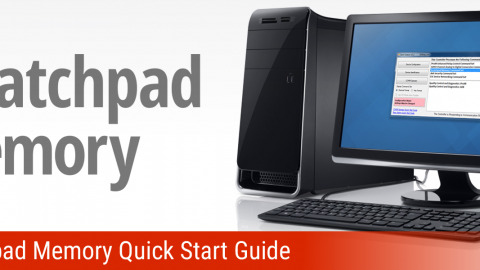 Break-Away tabs are unique to the NCD product line and are a standard option for most devices released in 2010 and later. Before breaking the tabs on your controller, please be advised that your MirC controller will not be returnable for refund or credit if the Break-Away Tabs have been removed. To break away the tabs, gently but firmly grab each break-away tab with a pair of pliers and bend the tab back and forth until it breaks away from the main circuit board. This will NOT damage the controller in any way. Breaking the Tabs from a controller DOES NOT VOID the warranty. 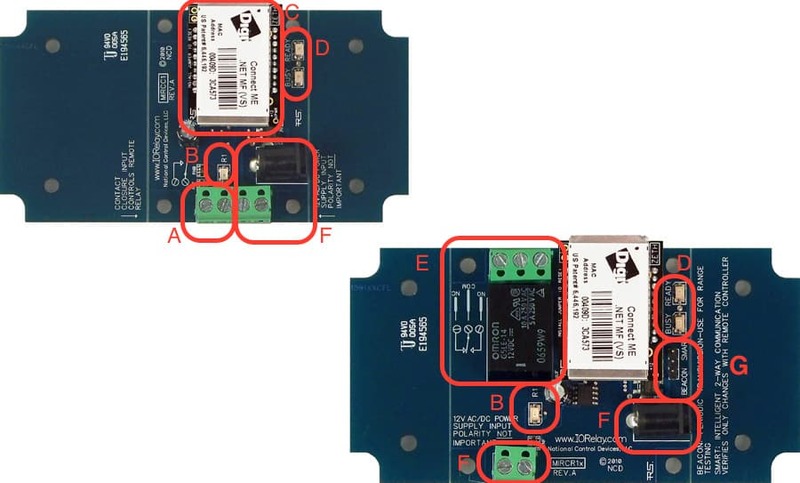 Please see the NCD return policy if you would like more information on the policies that apply to Surface Mount devices. MirCR25 shown above as shipped from National Control Devices. The unusual shape accommodates a standard enclosure. As shown above, bend the tabs to break them away from the board. Note that controllers with Broken Tabs are NOT Returnable for Refund or Credit, but are still covered under our 5-Year Limited Warranty. Shown above, the final controller with tabs removed is physically smaller in size, but no-longer fits a standard enclosure. 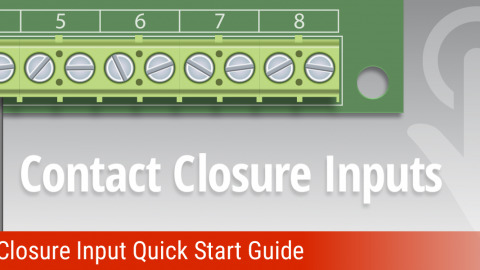 Inputs are capable of reading Contact Closure generating devices such as buttons and switches. A wire connected from the ground terminal to the input terminal would trigger the input, as this would be considered a contact closure. WARNING: Users must NEVER apply any voltage to an input on the MirC Sender controller; these inputs are for Contact Closure connection only. MirC Inputs play a vital role in the use of a MirC controller. Before we begin using the controller, it is essential that users understand the role of these inputs. Improper use of these inputs can cause Irreparable Damage to the MirC controller, so a firm understanding of these inputs is critical to the longevity of the controller. A MirC Sender controller has as many inputs as its mating MirC Receiver has Relays. 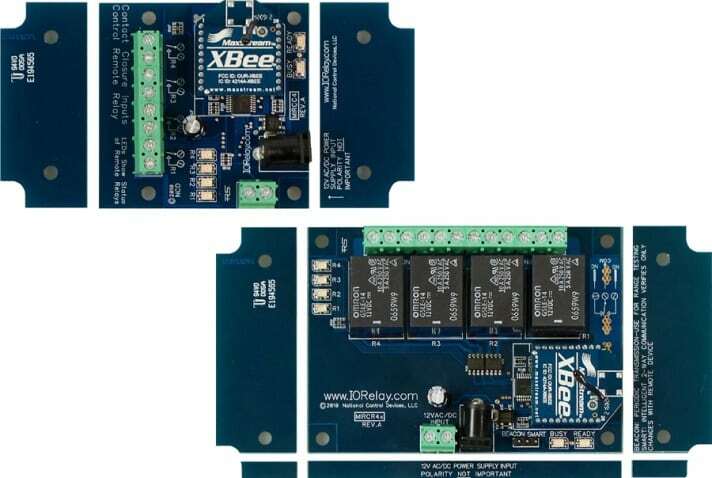 So a pair of 4 relay MirC controllers will have 4 relays on the Receiver board and 4 inputs on the Sender board which are used for controlling the relays on the Receiver board. The same holds true for 1, 2, and 8 relay versions. The Beacon/Smart Mode Jumper is used to change the way communications is handled by the MirC controllers. In Beacon Mode communication is nearly constant which makes it a good choice for range testing. A controller can be placed in one location and the other MirC controller can be carried to other locations to test range. The busy light flashes constantly if there is good communication between the two MirC controllers. If communication is lost in Beacon mode, relays will remain in their current state and will not automatically turn off. If the busy light stops flashing, the devices are out of range of each other and the distance should be shortened. 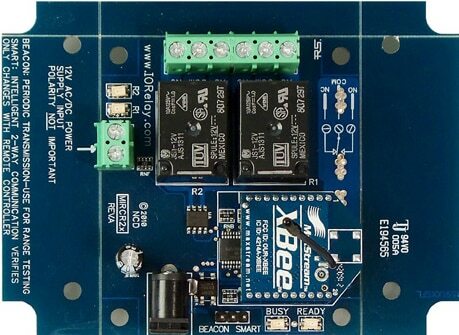 While Beacon Mode is very good for range testing, it does lengthen the amount of time it takes for an input on the Sender board to trigger a relay on the Receiver board. Beacon mode is not recommended for day-to-day use. In Smart mode communication is not as constant as in Beacon Mode; however, Smart Mode does still check for communication with remote device periodically. For this reason, inputs on the Sender MirC controller can trigger Relays on the Receiver MirC controller very fast because input changes are immediately sent to the remote device. If communication is lost in Smart mode for 10 to 15 seconds, all relays will go off and communication streams will accelerate to attempt immediate recovery. If this happens, check remote device and range abilities of your MirC controllers. Smart mode also consumes less power than Beacon mode; this along with fast relay triggering is why we recommend Smart mode for everyday use. MirC Controllers have 1, 2, 4, or 8 relays integrated into the circuit board. A relay is similar to a switch. The only difference between a switch and a relay is the actual mechanism for changing the on/off status of the switch. On a switch, you manually push on a piece of metal or plastic to operate the switch. On a relay, an electric current is used to operate the switch. Though a relay resembles the characteristics of a switch, it cannot be controlled by touching it with your finger. So from now on, we will use the word “relay” to indicate a switch that is controlled by the MirC controllers. Relays do NOT provide a voltage output. They provide a contact closure output, exactly like the terminals found on a light switch at your local hardware store. 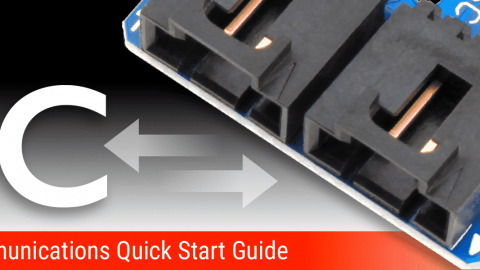 Wiring to a relay will be slightly different depending on the model of MirC controllers you choose. Some relays, such as the 5A and 10A versions have screw terminals that can accept 12 Gauge or smaller wire. Other versions such as the 20A and 30A relays have a .250” Quick Connect terminal (the appropriate mating connector can be found at any hardware or automotive supply store). Again, relays do not provide a voltage output. They ONLY switch whatever voltage you supply into the relay. Relays are available in SPST, SPDT, and DPDT configurations. In addition, both Mechanical and Solid State relays will be supported by the MirC series controllers. If you are unfamiliar with the different versions of relays available, you can review the following articles, which explains many relay types in great detail. The above article will help you determine the best type of relay for your application, showing you the formulas for calculating relay sizes that are appropriate for your application. If you intend to use the MirC series relay controllers for inductive applications, the article below MUST be reviewed. An example of an inductive application is any device that involves motion. For instance, using a MirC Controller to control a motor, a solenoid, or a valve. Other types of inductive applications include anything with a transformer such as a fluorescent light or a power transformer of any kind. Logic circuits (including those found on the MirC Controller) may malfunction in several conditions. The above article will show you how to safely implement these kinds of loads which greatly reduces the chances of a malfunction. Some inductive applications generate excessive noise, and may not be suitable for use with the MirC Series Relay controllers. Solid State MirC Relay Controllers should be considered for these high-noise applications. All Controllers Require 12 Volt DC Power Source. ** Ratings Based on Data Sheets of Component Used, Actual Tolerance May Exceed Ratings. Busy LED is not Periodically Flashing/Remote Device is not responding. The Busy LED signifies successful communication with remote device. If the Busy LED is not flashing, the MirC is unable to communicate with the Remote Device. Possible Problems could be lack of sufficient power source at remote location, remote device is out of range, humidity can affect overall communication range (Dryer environments tend to have shorter ranges than wetter ones), damaged controller can prevent busy LED from flashing, if power is applied to inputs this will damage the controller. Check Power source for both Devices. Place antennas or devices as high physically as possible. If Humidity seems to be causing “spotty” reception, contact NCD for a better antenna option. If device seems to be damaged, check to make sure you have NEVER attached voltage of any kind to the controllers inputs. It is normal for some components run very hot on the MirC series relay controllers. This is not a concern as we have tested the design carefully and are operating our components well within the specified limits of the components we are using. It is NOT normal for the CPU to run hot at any time. The CPU should remain cool. If the CPU is running hot the CPU has been damaged. This can happen if the devices lose communication with each other in Smart mode. It can also happen when Inductive loads are attached to the relays (See page 8). Shorten the distance between controllers. Carefully review the necessary steps for suppressing Induction in this Article. Be sure to also check your power source.